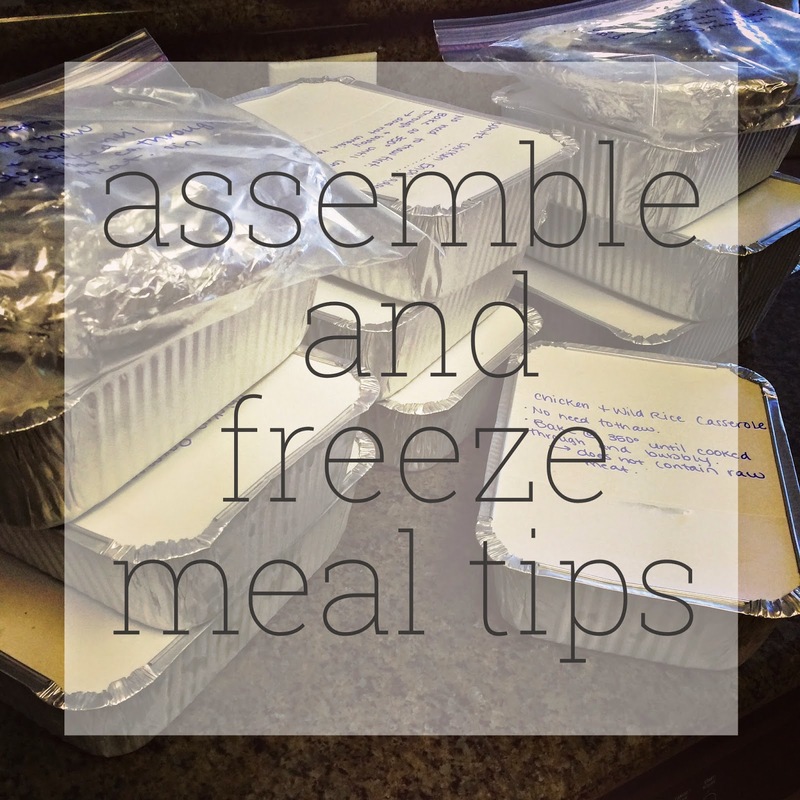 Lisa loves John: assemble-and-freeze meals! I always find that homemade curries freeze very well and when I make lasanga and Cottage Pie I always make enough to do a couple of individual freezer portions so H has them when I am away on business! Chicken and wild rice casserole sounds great, will have to find a recipe for that! Great idea I need to use my freezer a bit more so thanks for the inspiration! Love this. Definitely pinning these ideas, girl. Right up my alley. I do similar things for breakfast. I'll make breakfast burritos, pancakes, muffins etc and freeze them for easy breakfast throughout the week. When you posted about this yesterday I was just thinking what a perfect idea it was!! I'm going to need to try this for sure!! Rotisserie chicken has become my new best friend!! I did this a few years ago and it was great, I really should do it again! All of the ones I made were crock pot meals so I would dump them in before bed and then they were ready in the morning the package and take to work. That's the thing I like least, all my dinners are on the go since I'm working at that time. But I am totally with you in lacking the energy and motivation for prep and clean up - time to do this again! Great tips! I need to do this but I didn't know all those tips and I never know how to properly freeze items and then what do after that. I would absolutely LOVE to do something like this, but Matt is SO picky about this sort of thing! It's a little irritating because the convenience factor is huge. I also love to use my Pampered Chef Deep Covered Baker to cook meals in the microwave, but he doesn't really like those either... John's a good man for eating what's in front of him! :) We do burn through a lot of crock pot meals because they're easy and ready when we walk in after a long day. This is such a good idea. I need this in my life! oh man, I really want to do this. freezer meals just seem so smart! i am so lazy on the weekdays that i end up eating cereal or instant mash. oops. I never have done that... I need to be this organized. Look at you go! I'm such a bad wife - if I'm not home, my husband fends for himself hah. Love the idea of being so prepared. Chili in the freezer is my one plan-ahead meal but I need to get on the ball! I LOVE this idea! I really need to do something like this. I like to go for runs or a long walk after work, and then by the time I get done, it's late and I don't feel like cooking an entire dinner. This would be perfect for nights when we have other things going on and need dinner prepare quickly. Thanks for sharing! This is so great!! Such a fabulous idea and amazing tips! Yay, I was waiting for this post and I'm super excited to try these out since I also despise cooking after work - thanks for sharing! Ummm!! Love this post. Thanks for sharing. Pinning now. Love this! Such great tips. I'm trying to eat at home more often, but sometimes it's so much more convenient to go out and grab something. These will be great for those times! 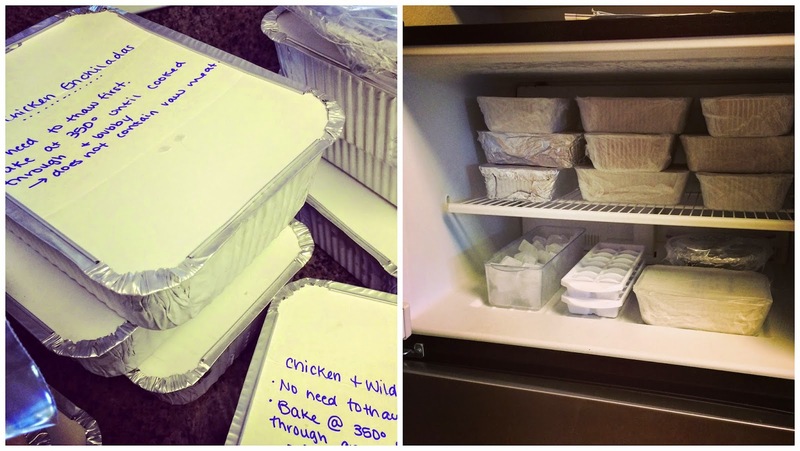 I have never done freezer meals before but I love the idea of it and how much time it will save in the future! Thanks for sharing! Oh my gosh this is amazing!!!! I'm always so lazy when it comes to food prep after a long day, so this would be great. I've always been nervous about freezer meals because when I try and freeze leftovers I'm usually not a big fan, but I bet these would be great since they're made specifically to be frozen! Thank you! Also, do you have the chicken pot pie recipe? I was patting myself on the back because I got a Costco Rotisserie chicken tonight.....hahahahaha girl can I fly you out and you can help me meal prep my life please???? Oh and bake and do some DIY's with me! Love these great tips. Prefect for weekly staples and I've even thought snout trying to do this for breakfast. Making bulk for easy quick mornings! You are awesome! I'm looking to do some batch freezer cooking soon and this gives me some great ideas. I'll be pinning this. I have never done this, but I have always wanted to try it! I just never know where to start! I will definitely be using your guide now to try it!! Thanks for the tips! Just pinned this post!! I am planning on freezing some meals before baby comes!! This is a great idea! Featuring this next week on WYWW! Thanks for linking up! 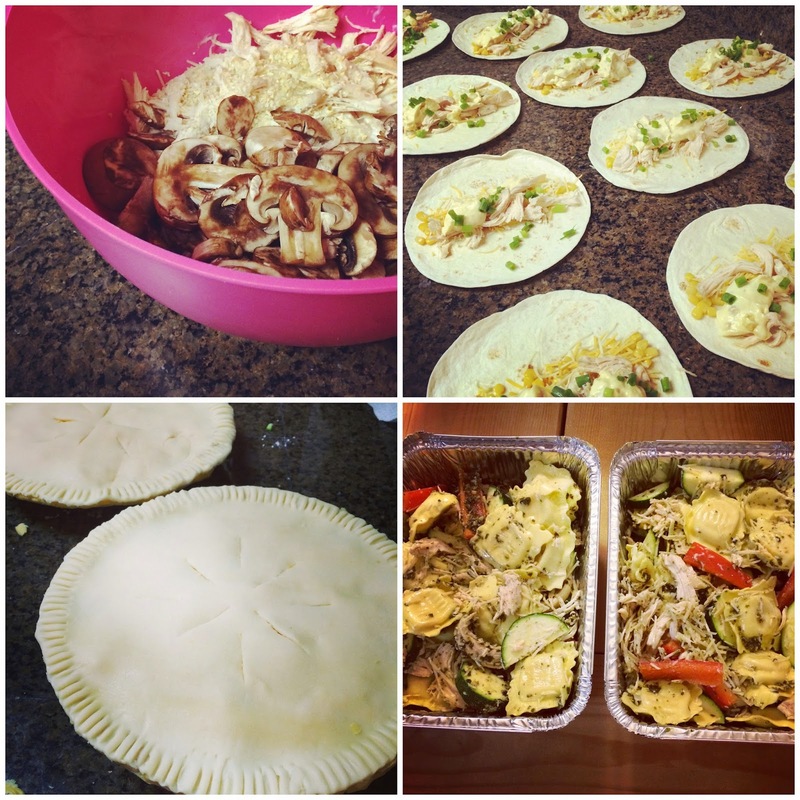 Thanks for sharing this post with us at Delicious Dish Tuesday! These recipes look really good! I used to do a little bit a freezer cooking, but I fell off of the wagon. I need to get back on it! These are very practical and helpful tips. Thanks so much for sharing!